The use of smartphones and tablets may help in the process of contact tracing in West Africa. 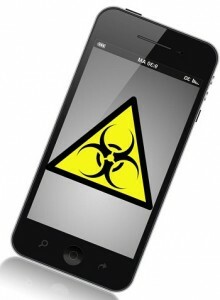 The Ebola crisis in West Africa has now officially grabbed the attention of the world, and some now believe that mobile technology could be the key to being able to keep this virus contained. The reason is that many believe that mobile devices can help to improve contact tracing in this West African crisis. The concept of contact tracing has become one that is recognized worldwide as people in countries around the world keep on top of the latest in the Ebola crisis and the methods that are being employed in order to contain it. Experts in the area are trying to press the fact that communication is the vital component to any strategy to keep this virus controlled, and mobile technology can be central to making sure that a crisis situation such as this one in Africa can stay contained. Mobile technology was a vital element of the strategy that informed those who had been in contact with a Liberian patient. When Thomas Eric Duncan was found to have the Ebola virus, massive information campaigns were launched to help to notify those who may have been exposed to the virus through contact with him. Sadly, Mr. Duncan died on October 8 in a Dallas, Texas hospital. According to Dr. Joel Selanikio, an expert in infectious diseases, time is a critical factor when communicating with individuals in this type of a situation. Dr. Selanikio’s company, Magpi, uses mobile data collection in combination with a messaging software tool that helps to speed up the process of providing people in crisis situations – such as the Ebola outbreak in West Africa – with the information that they need. Selanikio explained that “What Magpi does is it recognizes that within global health, for example during this Ebola outbreak, there’s a lot of information that needs to be collected.” He added that this type of tool using mobile technology can be one of the most effective ways to track down anyone who could have had contact with someone who has received a diagnosis.